We have a grade II farmhouse. We have had quotes for both types of windows which come out generally the same. Does anyone know more about engineered windows - advantages, construction website etc. I would assume its some kind of vineer? My architect is keen for the longevity and the lack of warping etc. But I am struggling to find out proper facts of this over solid european oak casement windows. These windows will be chuncky and pretty plain in design. in general use. I cant see engineered oak having the same longevity. Manufacturers have claims it lasts but lets look again in a hundred years or so. Simular to Glulam beams to simplify it. Engineered Oak is mainly used with floor finishing due to it strength properties being twice that of standard timber. Which reduces warping like you say. Usually engineered with a plywood centre or fibress material. Structural properties are ideal for curved structural work, although in your case not such a priority for just window fitments. Personally i would opt for engineered for internal finishes such as flooring, architraves, skirting etc etc. However, not commonly used in manufacture of windows such as bespoke on a GradeII listed property like yours, i would check with the heritage that they are happy for it to be used, generally its a like for like basis, in other words if you have removed solid oak windows, they will certainly require solid to be reinstated with matching profiles and details. Having previous experiance with both types of timber,i found on a personal level that the engineered timbers flaw were the way it was joint together,the true colour of the wood had various shades and looked a bit unmatched,were as oak may not be as cheap but you will see consistant grain and pattern,hope that helps? 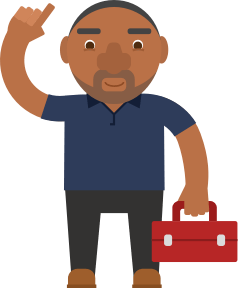 Post a job on MyBuilder to find quality, local Window & Door Fitters who can help you with your project. Any honest opinions regarding Solid Oak Wooden Floor with "Click System"
hello is oak veneer ogee skirting and door facing just as good as real oak thankyou. Replacement wood windows for a 2 listed Oast. Should twe choose multi-layer Engineered Meranti timber sections stained to look like oak or hard wood frames in European Oak? whats the best fix for solid oak on concrete?